Ireland have made it to the Pokerstars World Cup Finals in Barcelona. More than 75,000 players have played in freeroll tournaments to try and represent their countries in the live team competition and we are now down to our finalists. Each national team is made up of two freeroll winners and the two players from that are sitting highest on the PokerStars Tournament Leaderboard. Then yesterday the Division finals were held and after 13 hours of play we had seven of he eight teams remaining that will fight it out at the televised final on September 4th. 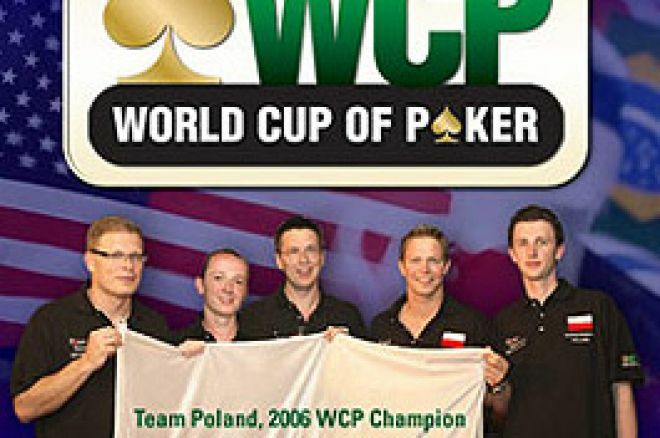 Team Poland, last years champions, were unable to make the grade and we will be crownng a new champion. The only unconfirmed finalist as yet is Team Hungary or Romania, who will be fighting it out in a playoff final at a later date. The finals in Barcelona between September 4th – 7th will start out as a live team score round, with the top four teams making the final. From that point it becomes a four handed tag team tournament to decide the champions and winner or the $250,000 first prize.